The Xperia... converting to Android? Android handsets... you wait for one then a whole bundle come along at once. Sony Ericsson will launch its first Android handset in the summer of 2009, nestling nicely alongside its competitors. Sony Ericsson's Garfield Brusewitz, speaking on Swedish website IDG.se, said the company will: "initially focus on products in the higher segment, but later on will also supplement with products for the broad mass market." 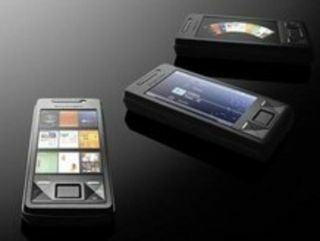 He continued: "The first Android phone from Sony Ericsson is expected to show up for the summer." The rumours emanating from the internet seem to suggest that SE will use the system to reboot its fledgling Xperia brand, which has fared pretty poorly after the release of the Windows Mobile powered X1. Other manufacturers expected to hit this Android timeslot are Samsung, LG, Motorola and apparently HTC. According to ElectricPig, the Taiwanese company is also getting in on the Android act by announcing it will be unveiling more Android handsets in the summer of 2009... but instead on one phone it will have a whole portfolio.